Heading into the Loop each morning and leaving it each evening can get pretty tedious, but it does afford somebody the opportunity to do something you can’t do while driving; read a book. 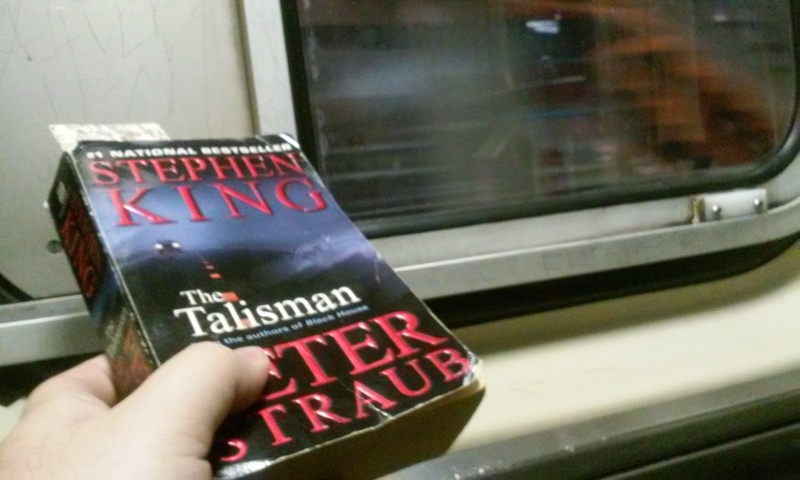 The Talisman is my latest recreational read. I selected it because it is a big influence on Long September, and I am doing my best to get back in that mindset. Funny, though, I like it much less this time around. Is it just because I read it a decade ago? Hard to say. Perhaps a question to answer later. Well, here’s my stop (not even kidding).